Thank you for the high praise. 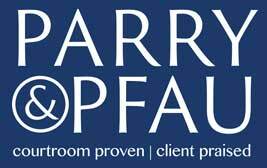 We'd be eternally grateful if you'd do us a huge favor and share your love for Parry & Pfau online as well. Below is a link to our review page on Yelp. Would you be so kind as to leave us an online review? It will only take a few moments.